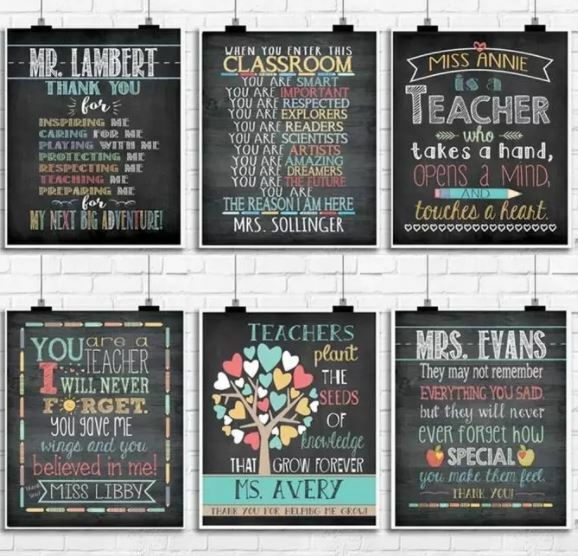 Head over to choose from these Teacher Name Gift Prints for $4.99 (Retail $14.96)! My teacher approved and loved art prints make wonderful heartfelt and charming gifts that your special teachers, coaches or mentors can display all year long. There is one just for the education office and many of the styles also look great with the names of any type of school, academy or day care. By design, I created all the art images at 8×10 so standard frames can be found economically and won’t break the budget. Shipping is $3.23 for the first item and $0.23 for each additional item.